When we see the military portrayed in media, or when we think of the military, we tend to imagine heroic front-line infantry, top of the line fighter jets, and of course, tanks. What we tend to overlook, however, are the much more common vehicles that make up front-line armored transport, engineering, and ambulance capabilities, which enable the modern military to perform its duties. It is into this second, less glamorous but incredibly important, category that the FV432 falls. This article will give a brief history of the development of the FV432, and an outline of how its variants remain in service today. Soon after the end of the second world war, the British Army recognized the need of a fully armored personnel carrier to replace the hastily converted and produced wartime APCs, such as the Loyd Carrier and Universal Carrier. The FV432 was designed to be completely enclosed, providing NBC, or nuclear, biological, and chemical protection to reflect the realities of the Cold War era – something an open-topped carrier could never provide. Development of the FV432 began in 1950 by GKN Stanley, the previous iteration of BAE Systems, and it was adopted in 1962, with more than 3,,000 AFVs produced by 1971. Despite receiving a substantial ‘Mark II’ upgrade package, by 1988, the FV432 was largely being phased out of service in favor of the FV510 Warrior, which remains in service today. 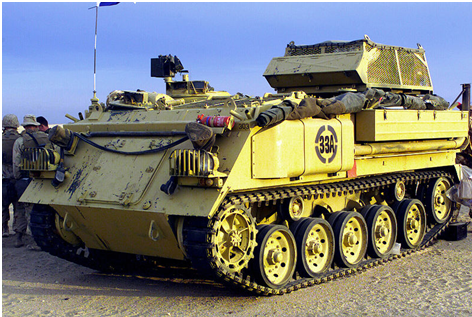 In spite of the Warrior, a number of FV432 remain in service after an armor and engine upgrade package, making them into the FV432 Bulldog, which continues to see service in the middle east – http://www.army.mod.uk/equipment/23239.aspx. 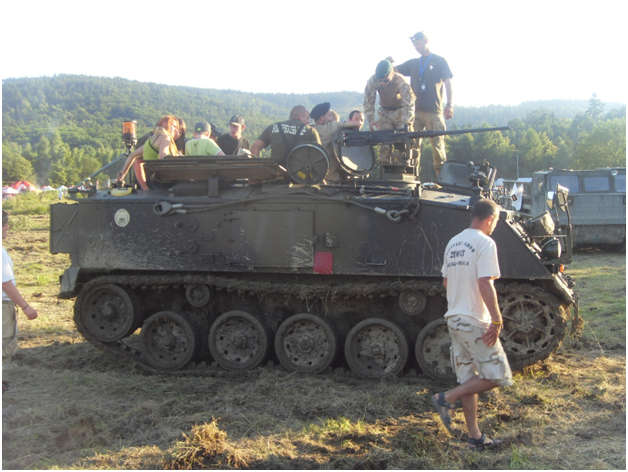 While many FV432 were phased out of service completely, entering the hands of private citizens and businesses, such as www.armourgeddon.co.uk, who offer a tank driving day, a large number of FV432 variants still see use. FV432 variants include the FV433 Abbot self-propelled artillery, which was widely used until 1995, a number of command and control variants, and the FV438 Swingfire anti-tank guided missile carrier, which remained in service until the Swingfire missiles were replaced by Javelin missiles in 2005. While not the most glamorous vehicles in the British Army, the FV432 has contributed to a number of operations and continues to provide utility service to the armed forces today.